Stella Mwangi has already set herself apart as one of the only African stars to hit the biggest Euroepean stages at this year’s Melodi Grand Prix 2018. MGP is the Norwegian selection of Eurovision Song Contest, also known as the biggest music show in the world. MGP airs on the national television channel NRK1, and the television broadcast is seen by 1.3 million people with a share of 73 %. She made her second debut as part of a duo with Norwegian singer Alexandra Rotan. Alexandra Rotan is the lead vocalist for the world famous artist Alan Walker. Their record dubbed ‘You Got Me’ is a fusion of pop, rap and rock. They were part of a group of ten who put up a good fight last Saturday for a chance to represent Norway in this year’s Eurovision Song Contest. A 50/50 televote and international jury vote was used in the first round of voting. This ended up with Stella Mwangi & Alexandra Rotan, in the super-final. The two were then subject to another round of televoting but unfortunately did not make the cut. Melodi Grand Prix 2011 to represent Norway in the Eurovision Song Contest 2011 Eurovision Song Contest that was held in Düsseldorf, Germany with the song “Haba Haba” written & produced by Stella Mwangi and Big City Music, published under Warner Music. 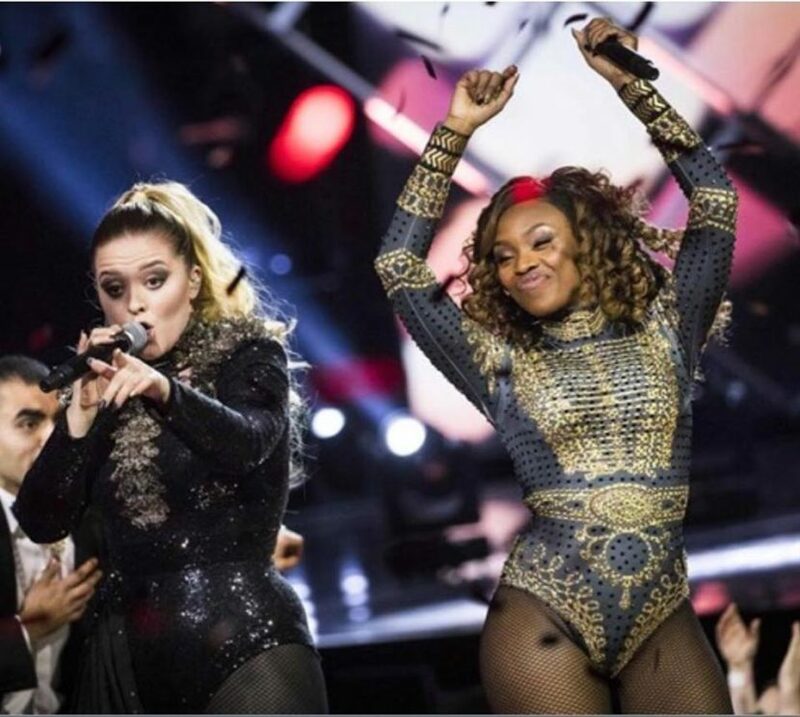 Stella Mwangi and Alexandra’s performance were among the top performances of the night coming in third in the running to represent Norway in this year’s Eurovision Song Contest.